Atletico Madrid are weighing up a move for Manchester City Striker Stevan Jovetic, according to reports in Italy. The 26-year-old is currently on an 18-month loan at Inter Milan and is due to make his move there permanent in December. 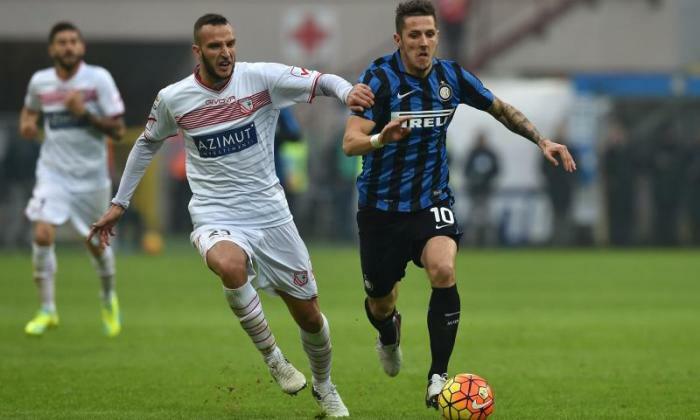 However, the Serie A side have reportedly gone cold on Jovetic and don't want to pay the £12m to make the deal permanent. Meanwhile, the spanish giant believe Jovetic would act as an ideal replacement for Jackson Martinez, who left for China in January. Atletico are now willing to pay the £12m Man City want for their forward - if they can snap him up this summer.